A digital tachometer shows the measurement data on the display in figures. In addition, minimum, mean and maximum values can be saved, as can the last measured value. Reflection of an LED or laser light beam. A large selection of digital tachometers and strobes – the ideal instrument for every task. High-precision speed measurement using optical methods. Measured in next to no time: strobe and tachometer with easy and efficient one-hand operation. Outstanding quality from the market leader for an unbeatable price-performance ratio. Non-contact speed measurement with self-adhesive reflectors. Extremely wide measuring range, extremely short flash duration, extremely precise speed measurement. Speed measurement with a LED stroboscope or xenon stroboscope. Laser tachometer or LED: which is better? The circle of light is slightly diffused by a lens. This offers a larger measuring area, depending on the distance. LEDs have less luminous intensity: this means they cannot record measurement objects that are further away. The higher luminous intensity and luminance of the laser tachometer enable more distant objects to be recorded as well. Accordingly, the measuring area is really small. A laser tachometer must therefore be held very still. We would be more than happy to help you. You must always ensure cleanliness for speed measurement. Both in terms of the sensor technology, because dirt particles in the sensor can falsify the measurement results. But also when applying the reflective markers, you should ensure that there is no residual dirt, such as oil, on the measurement object. A sticker that has poor adhesion can easily detach at high speeds and prolong the measuring process. In order to ensure optimum recording of the measurement object (e.g. a shaft) by the tachometer, it should not be too far away. At the same time, always think of your own safety – it is absolutely essential to keep to a minimum distance from the moving object in order to rule out any injuries. Avoid unwanted reflections which falsify the measurement result by using a reflective sticker. In most cases, reflective stickers are included in the scope of delivery for a digital tachometer. A strobe is ideal for measuring, checking and monitoring small parts that vibrate, rotate very fast and are difficult to access. This involves the strobe creating a static image of the rotating object using a flashing lamp. The flashing frequency of the lamp is increased or reduced until it matches the rotational frequency. This means the flashing frequency and frequency are identical. There are no standards and directives to comply with for tachometers in the area of handheld instruments. These only apply to stationary tachometers, such as those used in mechanical engineering. Discover Testo's wide variety of optical tachometers and strobes with just one click. 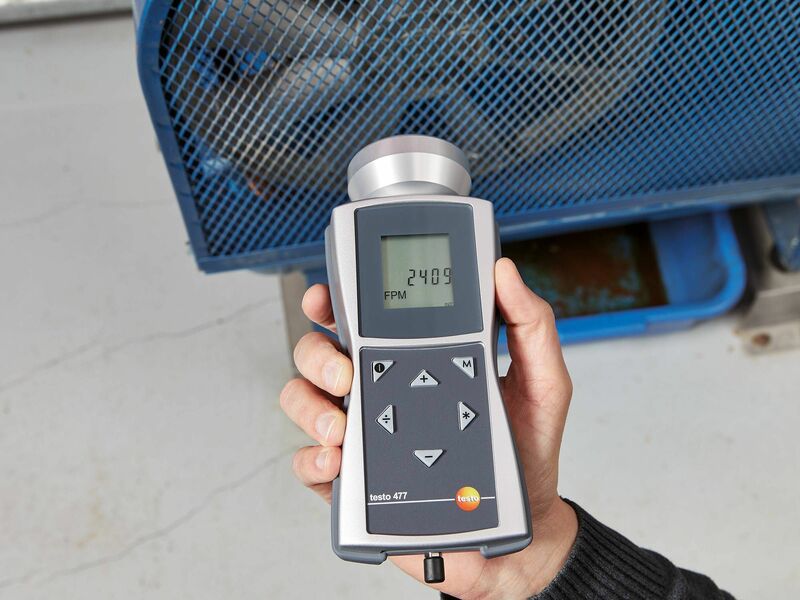 Would you like to measure the sound level of traffic noise and industrial processes? Then a Testo sound level meter is the perfect solution. 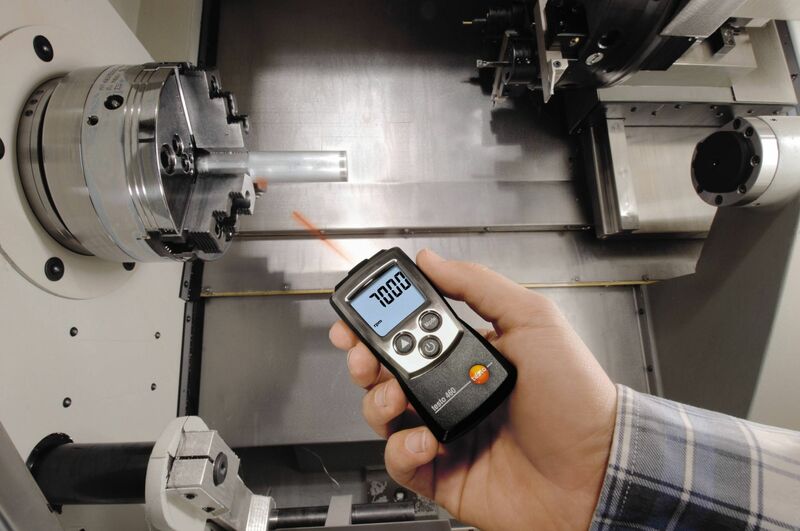 The portable instruments not only measure quickly and easily, but also ensure high precision. 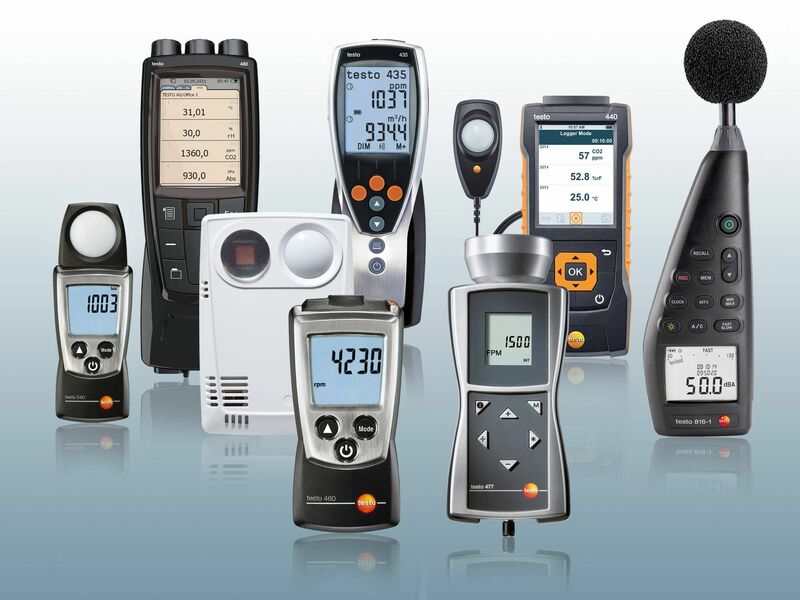 Testo offers tried and tested, high-precision lux meters specially for light measurement. Depending on the requirement, choose a compact lux measuring instrument or a highly convenient multifunction measuring instrument, such as a radio data logger. Data loggers are particularly well suited to long-term measurements. The concentration of carbon dioxide is the crucial measurement parameter when monitoring IAQ and ambient conditions. 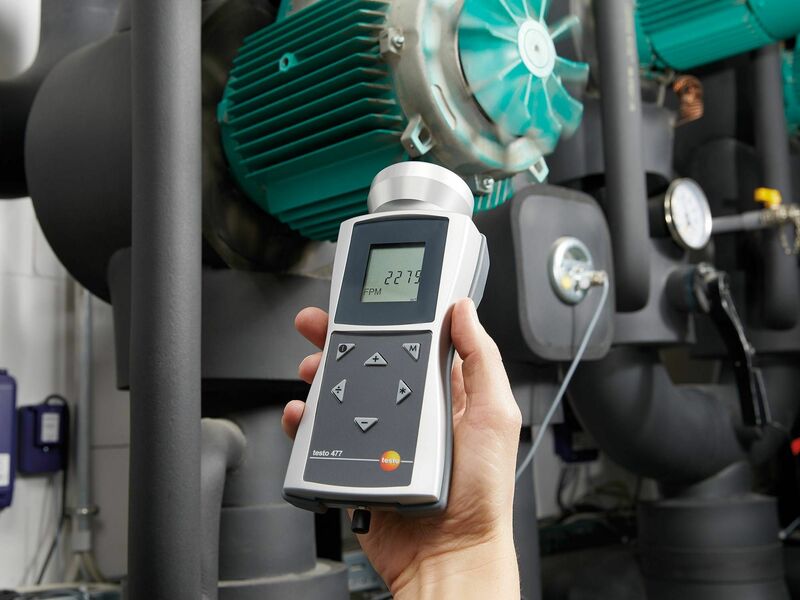 A Testo CO₂ meter means you can count on absolutely precise measuring values. 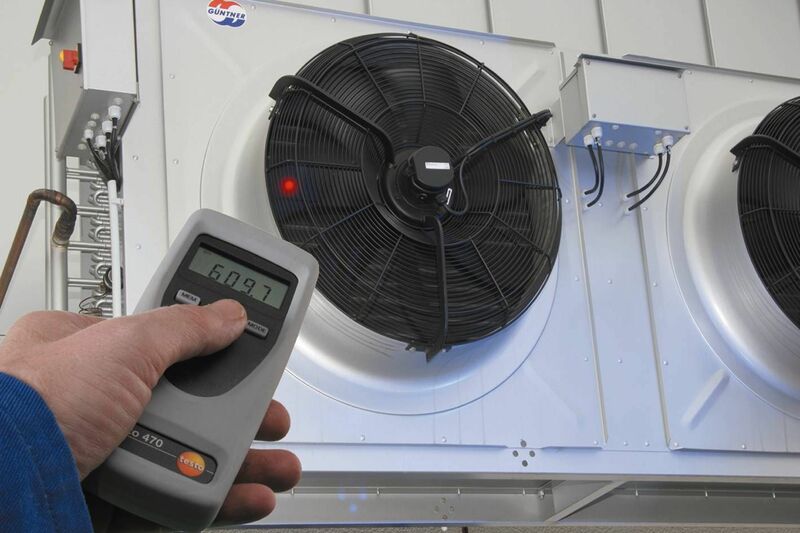 Particularly high requirements are set when it comes to the sensors of CO meters. Because the highly toxic, odourless gas has to be reliably detected at even the smallest concentrations, in order to rule out loss of consciousness and harm to health. 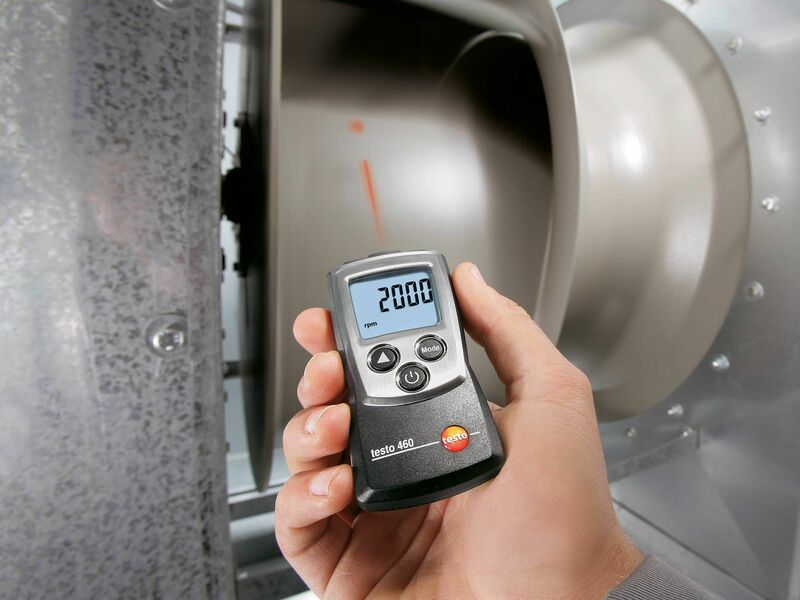 A Testo CO meter ensures high-precision recording of CO and issues warnings for critical values.